Use cold water in the washer: It has been proven that cold water is just as effective in getting your clothes clean as hot or warm water. Using cold water will also prolong the life of your clothing and help to preserve the color, especially bright colors. 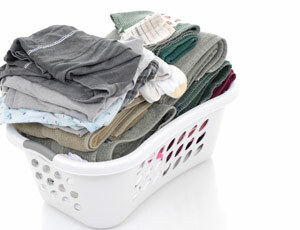 Do full loads: Washing just a few items wastes water in the washer and energy in the dryer. 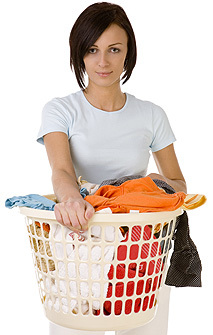 Use shorter wash cycles: Delicate items and lightly soiled clothes do not require as long of a wash cycle. 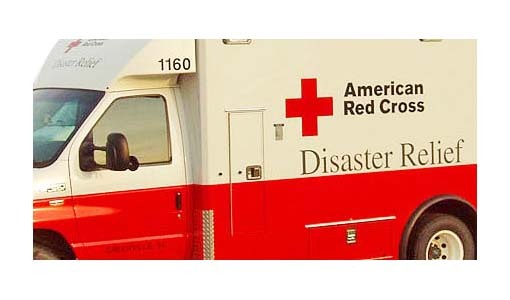 Separate heavy-weight and light-weight items: dry towels and jeans separate from lighter weight items. The lighter items dry more quickly. Avoid over-drying: This will extend the life of your clothing and save energy. Removing items that require ironing, while they are slightly damp, will save time and energy by reducing the need for ironing. 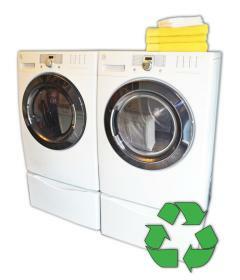 Choose an energy saving dryer: Choose a dryer that has a moisture sensor to save money and wear on your clothing. This type of dryer automatically shifts to the cool down cycle when clothes are dry. Annual dryer vent cleaning by a professional will reduce energy costs, prolong the life of your clothes dryer and prevent a dryer fire. Your water heater accounts for about 10% of your home energy bills as it works to maintain a full tank of hot water at all times. Your washer uses about 20% of the hot water. You can save energy by turning your water heater down to 130 degrees. This is hot enough for all your laundry needs. 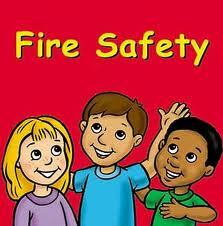 Reducing the temperature is a good safety tip as well. These tips also apply to your dishwasher. Do only full load to avoid wasting water and energy. You can also air dry dishes to reduce the cost of energy consumed by your dishwasher by about half. Leaky faucets are not only irritating; they are energy wasters. Fix leaky faucets or replace them with faucets that have energy saving attachments. Insulating the water pipes and your water heater will also make a difference. All the above tips will reduce energy costs and prolong the life of your clothes and appliances. 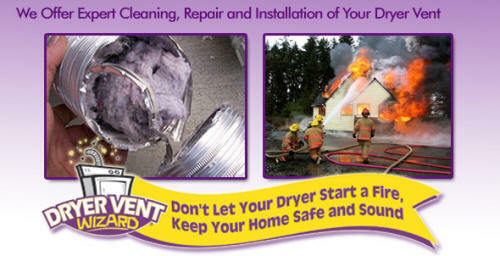 Annual dryer vent cleaning is especially important to reduce energy costs and prevent a dryer fire. Gina Fazil, owner of Dryer Vent Wizard, provides all dryer vent services including dryer vent cleaning, dryer vent repair, dryer vent installation, and complete inspection of your dryer vent system. 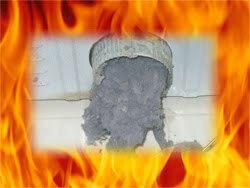 Contact http://www.dryerventwizard.com/ for an inspection and dryer vent cleaning today.